Everyone knows that feeling of anger. Whether it is extreme and long lasting or brief and mild, anger is an emotion that all people experience from time to time. People can successfully manage their anger by being aware of what triggers their emotions and using tools to help themselves calm down. While children are smart, creative, funny, and strong they sometimes have a harder time than adults in calming themselves down and managing their anger. By helping them to recognize and understand this emotion, you can help them feel prepared and confident to navigate their environment successfully. The following are some tips for helping an angry child. Teach your child about the emotion “anger” along with other key emotions such as happiness, sadness, and fear—the movie “Inside Out” is a wonderful film that helps to explain these emotions (and others!) in a friendly and meaningful manner. Let your child know that they are allowed to feel all of these feelings and that it is normal for all people from time to time to feel anger—this helps them reduce any guilt or upset they have about their feeling of anger. Acknowledge your child’s angry feeling, ex. “I see that you are feeling angry,” and other feelings as well so that they can learn to differentiate the myriad of feelings they’re experiencing. It’s definitely confusing to do that at times, so with your help they will begin to do this on their own. After acknowledging their feelings of anger, encourage them to find something positive about the situation they’re in. Ex.) they are feeling angry about missing a day at the pool due to the rain, help them to see that they still get to play with their friend, have a treat, etc. Remind your child that they can and will feel better again—and even sooner if they try the above strategy! These tips will certainly help any child that is feeling angry and they have the added benefit of improving your connection and relationship as well as there will be no shame or disappointment expressed to the child. If it feels like your child is having angry moments on a more than regular basis, extra support may be needed to help explore other feelings and situations that may be bothering your child. Working with a trained pediatric social worker can help explore these areas. 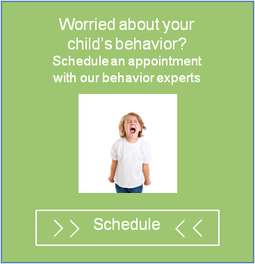 Contact North Shore Pediatric Therapy today. caregivers have complicated task. This task is two-fold. The first task (as mentioned in a previous blog about the consequences of coddling) is to give children the space to experience upsets and frustrations inherent in life. The second (and related) task is to provide the nurturing and support necessary for their children to effectively manage the day-to-day upsets and frustrations. Below is a list of 10 “simple calm-down strategies” that can be used with children as young as toddler-age. However, before reading on, beware not to be fooled by the word “simple” in the title. The task of helping your little ones learn to calm themselves in the face of agitation is not simple at all. On the contrary, this task involves knowing your child and constantly attending to the evolving relationship between you and your child. It is important to note that the strategies listed below will not have the same impact on all children. Likewise, a strategy that works well for your child on one occasion may not work as well a different time. After reading the remainder of this blog, I encourage you to choose a few strategies that seem promising, try them with your son or daughter, and as always, please share your feedback below. Color/draw: This can serve as both a distraction as well as a way to express one’s self. With very young children you may just want to set them up with some paper and crayons. For children a little older, they can draw a picture of what made them upset, or a picture of a time when they were feeling calm and happy. Music: Music can be used in many different ways. If your children are more active and need to get out some energy, maybe they can have a 3 minute dance party. Other ways to use this strategy include listening to a favorite song or playing calming instrumental music. Drink water or have a snack: Being hungry or thirsty can certainly contribute to our emotional state (no matter how old you are!). Parents are advised to closely monitor the use of food as a way to soothe uncomfortable feelings as this should not become a primary tool for coping with stress. Count to 10: or 50, or 100. Counting in itself can be calming because it focuses the mind on something else (which means that the mind isn’t focused on the stress). 5 deep breaths: (Diaphragmatic breathing or “belly breathing”): True relaxation breathing is a strategy that takes practice. To begin, have your little one take deep breaths so that their stomach is pushed out upon inhale and relaxes during exhale. Bubbles: Closely tied to strategy number 5, blowing bubbles can help children feel calmer on a few different levels. First, for very young children, simply seeing and popping bubbles can be distracting enough from whatever originally triggered the upset. For children a bit older, blowing bubbles can encourage the deep breathing that will help bring about a sense of calmness. Bear hugs: Your little ones can be encouraged to wrap their arms around their body and give themselves a hug. This can feel comforting for young children and it can also serve as a reminder to be kind to one’s self, especially during times of stress. Play with putty: Putty, sand, Play-Doh, or similar materials can also serve as effective calming tools. Young children should be supervised while using this strategy to ensure safe use of the materials. Change the scene: During the throes of a tantrum (or even a less intense state of agitation), kids can become stuck. They can become stuck in negative thinking and stuck in maladaptive behaviors. Take a break: We all need a break sometimes, and children are no different. If it’s a particular task that became too frustrating (for example, a puzzle), encourage your child to walk away from it and return at a later time. If your child has been on-the-go all day, you can expect that his/her patience will run out faster than usual. Last, but certainly not least, consider your own calm-down strategies. Your children learn so much from you simply by observing. Take some time for personal reflection, do you yell and bang on the steering wheel when you get stuck in traffic? Are you quick to raise your voice, or do you remain more even-tempered, despite experiencing agitation? As with all skills you teach your child, don’t forget to model the behavior you wish to see in your little ones. If you have more ideas regarding calm-down tips for toddlers or young children, please share below!